Support the Charm City Rams, in raising scholarship funds, for students at Winston-Salem State University! This year the Baltimore Chapter of the WSSU National Alumni Association will be raffling off 3 minute shopping spree or a $300.00 cash prize. The tickets are 5 for $5.00, all proceeds go to support scholarships. 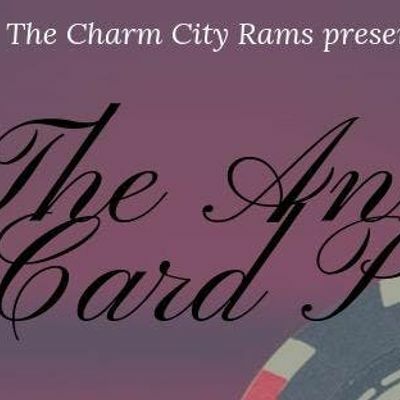 The Charm City Rams, are holding our ANNUAL CARD PARTY on March 23, 2019 at 12 pm! Card party tickets are $50.00. Includes cash bar, food and DJ. Make a general donation to the Baltimore Chapter, as we support students from the Baltimore Area, that currently attend Winston-Salem State University.